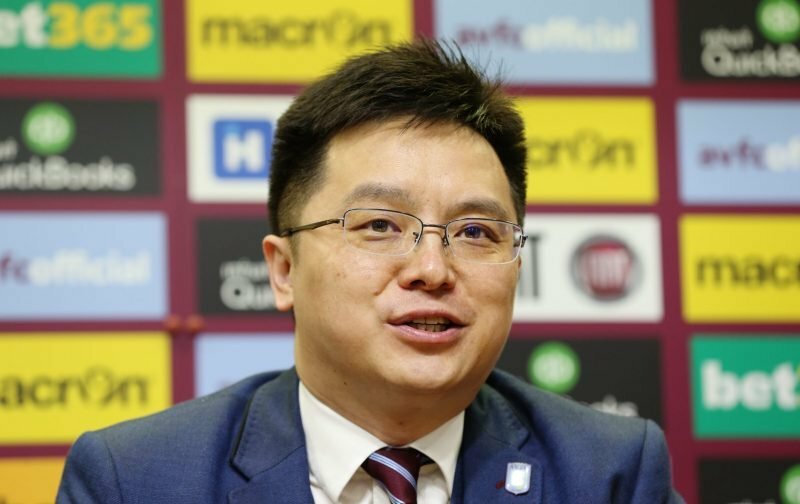 A new week, a new set of utterly shambolic press report nonsense coming out of Aston Villa – I must say on top of absolutely superb silence from the club itself – and I’m starting to truly get what a Birmingham City fan has felt like given their run of owners and Board members. Every passing day seems to deliver new fall out from a seeming inability to forward plan as we rat raced to the bottom to solve cash flow problems and hung everything on the silver bullet of promotion back to the Premier League in 2017/18. A Winding Up Order, CEO suspension and potential constructive dismissal case and everything else we’ve had over the last few weeks has left us all a little tired, angry and giving both barrels in whatever direction we felt they might land. This is why I admire our Yorkshire Lions folks for a tweet yesterday. 1) How much debt does the club have. To whom is it owed? 2) Have any directors/related parties taken funds out of #avfc? I agree with everything asked and we could all add questions of our own. The last few weeks have left us with nothing but questions as answers seem as hard to come by as cash flow reportedly has! Unfortunately, it was difficult enough to get proper answers out of Aston Villa PLC when we were shareholders. I’m sure Yorkshire Lions know they are ‘teaing’ in the air as I’d bet my left testicle (I named him Bob a few years back if anyone is interested) that no real answers will be forthcoming from the club. Rather than an answer, maybe we’ll get a stupid emoji code that’ll excite some fans because social media for them is the new Garlic Bread? They’ll discover the real world soon enough…I hope…for their sake, not necessarily mine. But we’re not going to get an answer, Aston Villa doesn’t do genuine on social media, it does ‘play to the kids’ and ‘tell people what they want to hear’ whilst saying the square route of an intelligent Robbie Savage comment. We all know that don’t we. Don’t we? Thing is though folks, the more we ask the questions we know we won’t get an answer to, the sooner the media will stop repeating identical content under a new headline and actually look at the real issues and remember what their job is supposed to be – even in this difficult online landscape with bills to pay. The more those questions filter around, the less a ‘woe is me’ tweet has any effect, and the quicker people end up in a corner whereby they either act or scarper for our interests not their perceived ego. The last accounts gave a clue, the next accounts should make even more required reading for those with an interest – prove me wrong, give proper answers ahead of that…I won’t hold my breath. Thankfully twitter is not the be all and end all for some and they appreciate a change of ‘eggs in one basket’ is needed. They will be released in next years accounts regardless. As the club has come close to being wound up, these are extraordinary circumstances and we deserve to know the answers. If Xia is in it for the long term, he’ll be transparent as this info is not commercially sensitive. They will, I think we will have to wait until then for the answers though. As for Xia, based on what we ‘know’ currently I simply don’t see how it’s possible for him to be in it for the long term. Good point. Our only hope is being sold. Too much mystery. I want these clowns out. I believes in them, but I was wrong. Couldn’t agree more. I’m fed up of having a reliance on one person. It has to change. What we need (IMO) is local people, personally invested (emotionally and financially) running the club. People that are at the ground and BMH not looking in from afar. People who will protect as well as grow the club, not gamble with it. People looking to further it not them. We would have an FCG meeting ideally but it appears there is no one at the club to answer anything. Shambles.